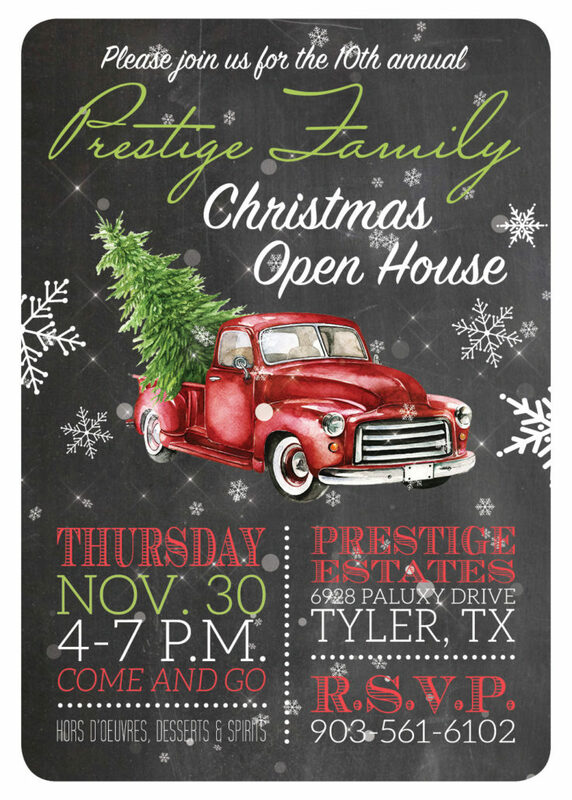 Join us for a wonderful evening on November 30th from 4-7 pm for our 10th Annual Prestige Family Open House for our Assisted Living Residents! Please RSVP by November 20th at 903-561-6102 or add yourself to the event on our Facebook page! This will be a come and go with Hors D’Oeuvres, Desserts, & Spirits. More to come on our Memory Care’s Christmas Party soon!